Carolina Catarino is a young Brazilian scientist who just won a Lush Prize for improving lab-grown skin models. Most skin models are grown from animal-derived scaffold materials, such as rat tail, mouse or bovine sources, but these models are not as complex as real skin, nor contain all the cells found in human skin. Catarino said, “We are trying to use human derived sources as a way to get away from using animals,” which is hugely important to Lush’s ongoing fight against animal testing. Catarino and her team are trying to increase the number of molecules in reconstructed skin models. 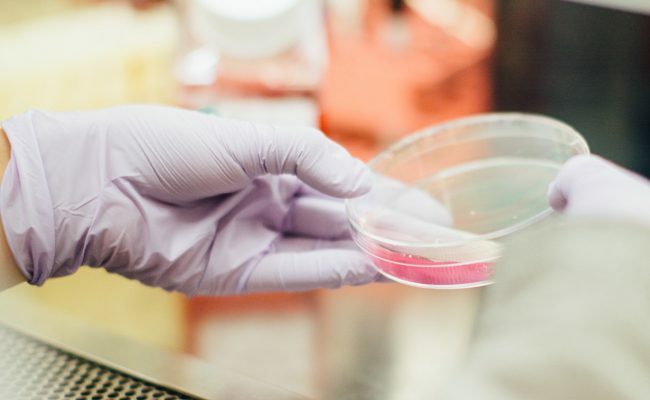 They are adding proteins, which are key to maintaining the skin; increasing the number of cells to analyze exposure to sunlight; and adding vasculature (blood vessels), which can be used for regenerative medicine and for creating skin grafts. Currently companies test on the skin barrier to see what a product will do, but our skin is full of holes where follicles grow. These are a great place for substances to penetrate. Some molecules don’t pass through skin, but they go through hair follicles. So, all our testing models don’t have these channels, and yet we assume they’re reliable. Recreating these channels will provide a more realistic view of substances’ effects.